When Ingeborg married Prince Carl of Sweden in 1897, she received this tiara as a wedding present. The giver was none other than the Tsar of Russia, Nicholas II, who was one of Ingeborg’s first cousins. The tiara also has a coordinating star brooch. When Ingeborg’s jewelry was distributed between her children after her death in 1958, this tiara was inherited by her daughter, Princess Margaretha. She had married back into the Danish royal family, wedding her cousin Axel in 1919. Margaretha wore the tiara frequently, but this branch of the Danish/Swedish royal family was extremely generous about sharing jewels with their female relatives. 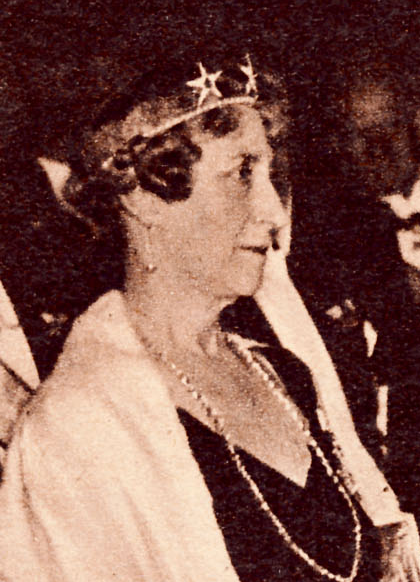 Along with Ingeborg and Margaretha, Crown Princess Märtha was also photographed in the tiara; so was Princess Anne of Denmark, Margaretha’s daughter-in-law (and niece of Queen Elizabeth the Queen Mother). Margaretha bequeathed the turquoises to her daughter-in-law, the late Countess Ruth of Rosenborg, in 1977. 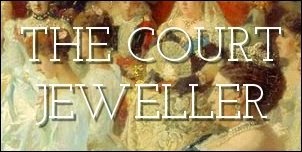 Today the tiara belongs to Ruth’s daughter-in-law, Countess Jutta, who has worn it at royal events. Apparently the plan is for this tiara to stay in the family, inherited by successive generations, and because the Rosenborgs still attend royal events like weddings, we may be able to see these stars shining occasionally in the future.